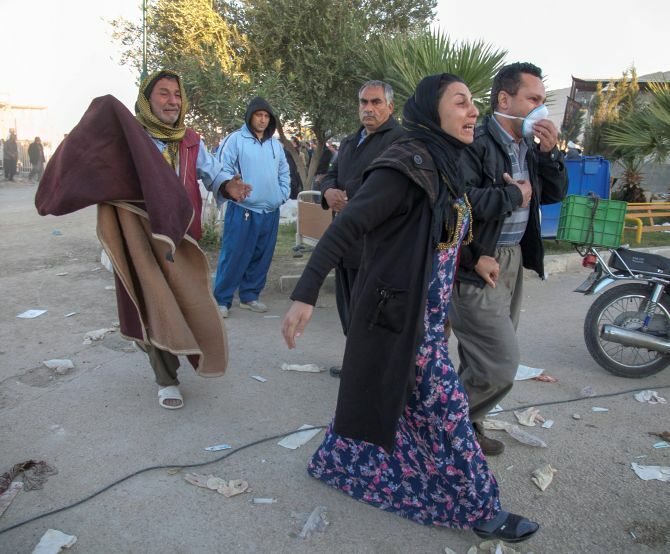 At least 332 people have been killed and more than 2,500 are injured after a 7.3 magnitude earthquake hit the Iraq-Iran border. The quake hit around 9.20pm on Sunday, when many people would have been at home. More than 100 aftershocks followed. 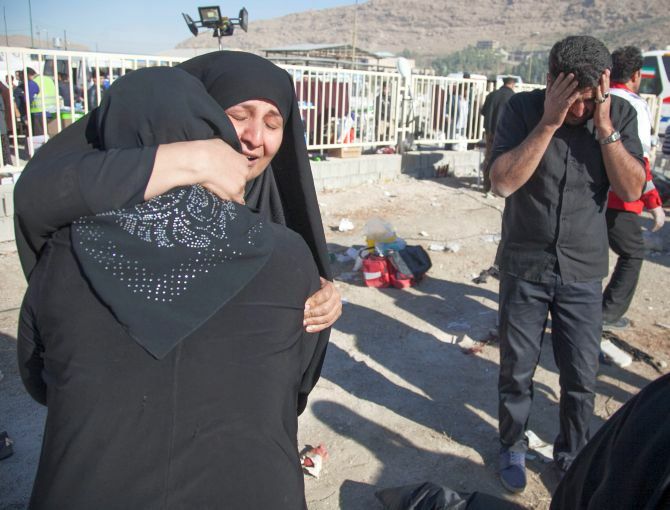 Iran gave a provisional toll of more than 328 dead, with further deaths reported on the Iraq side of the border. 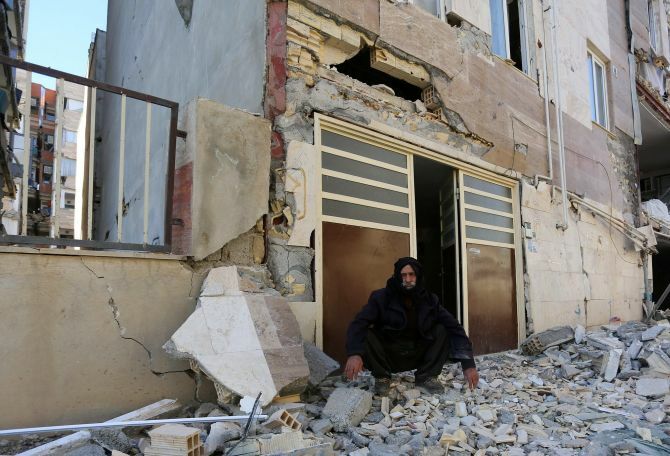 Tremors were felt as far west as the Mediterranean coast. 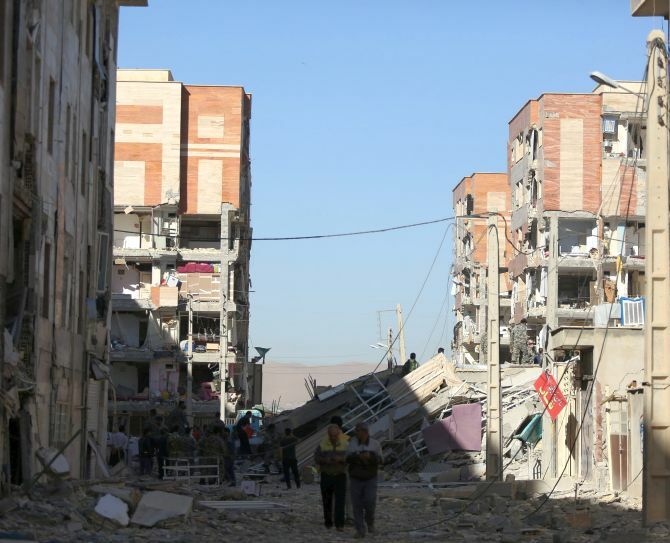 The earthquake hit several western provinces of Iran but the hardest hit province was Kermanshah, which has announced three days of mourning. 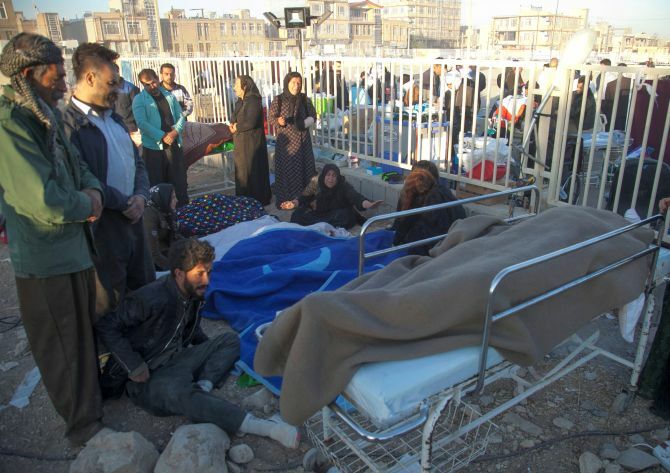 More than 236 of the victims were in Sarpol-e Zahab county in Kermanshah province, 10 miles from the Iraq border. Iran’s emergency services chief Pir Hossein Koolivand said it was “difficult to send rescue teams to the villages because the roads have been cut off... there have been landslides”. 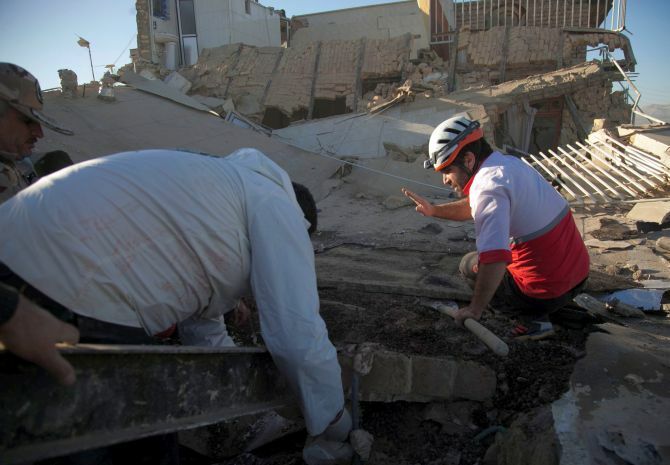 The quake, which struck at a relatively shallow depth of 25 kilometre, was felt for about 20 seconds in Baghdad, and for longer in other provinces of Iraq. 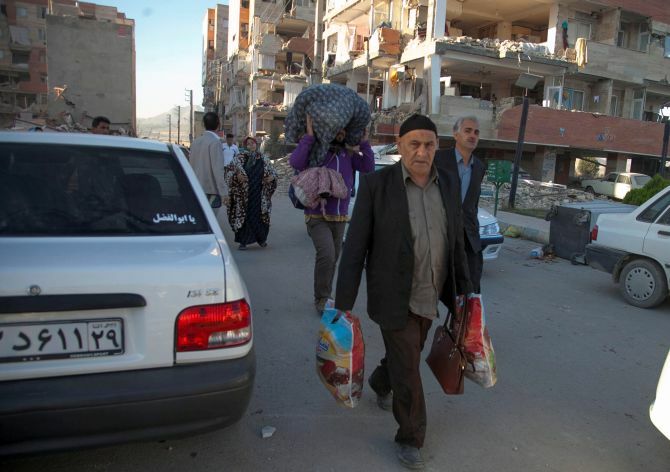 On the Iranian side of the border, the tremor shook several cities in the west of the country including Tabriz. Prime Minister Narendra Modi condoled the deaths in the massive earthquake which shook Iraq and Iran. IMAGE: Iran’s emergency services chief Pir Hossein Koolivand said it was “difficult to send rescue teams to the villages because the roads have been cut off... there have been landslides”. 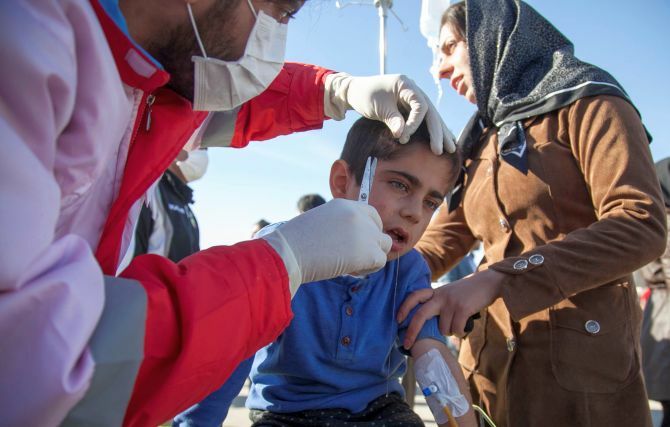 Iran’s Supreme Leader Ayatollah Seyyed Ali Khamenei sent a message of condolence, and urged military and civilian help to be dispatched to quake victims. IMAGE: More than 100 aftershocks followed the quake, making rescue efforts even more difficult.